Tammy Becker, a former student of the Hollywood Airbrush Tanning Academy is now a trainer with the same institution, offering hands-on airbrush tanning classes in New Jersey and Pennsylvania. 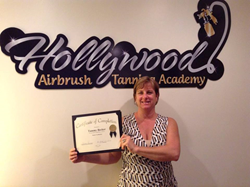 Tammy is the second trainer to be appointed by the Hollywood Airbrush Tanning Academy. America's popular airbrush tanning training center Hollywood Airbrush Tanning Academy has achieved another milestone by recruiting their second trainer for the East Coast, specifically to handle training in New Jersey and Pennsylvania area. To date, most of the training related activities for the academy were handled in the Los Angeles location and weekly airbrush tanning classes will continue to be held in Los Angeles. The new trainer Tammy Becker will now be offering hands-on Airbrush Tanning Classes in New Jersey and Pennsylvania area. Tammy is a former student of the Hollywood Airbrush Tanning Academy who has her own airbrush tanning business in Ventura, California. Tammy has plans to move to Pennsylvania area by next month and this is why the academy is in the process of setting themselves up in those areas. Tammy will now be the trainer for the Hollywood Airbrush Tanning Academy on the East Coast and will share exactly the same program as is done by them on the West Coast. Simone Emmons, the founder of the Hollywood Airbrush Tanning Academy has been instrumental in helping over 150 aspiring spray tanning professionals to make it big in this emerging business. Recently Tammy completed her Master Certification program with the academy and is now ready to train others in this growing industry. 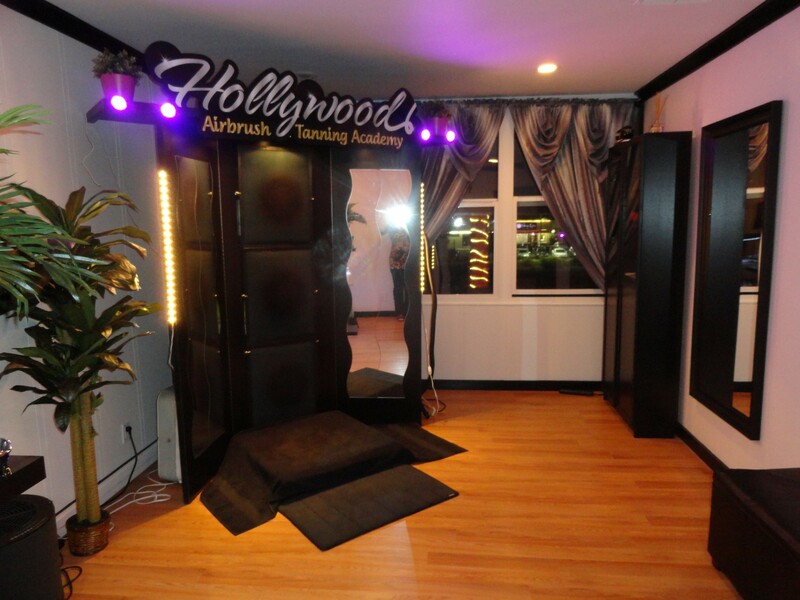 With Tammy on board as an additional trainer, Hollywood Airbrush Tanning Academy is currently scheduling airbrush tanning classes to start in New Jersey soon. "We are currently looking for a training venue in New Jersey as well as Pennsylvania to host our hands-on airbrush tanning classes", says Simone. Expressing her satisfaction about having Tammy on her team, Simone said, "Hollywood Airbrush Tanning Academy is excited to be able to offer Tammy an opportunity to show off her skills and talent and everything that she learned at the Hollywood Airbrush Tanning Academy. Now through Tammy, we are pleased to be able to offer our hands-on airbrush tanning training program to so many others on the East Coast who can not travel to Los Angeles. We are looking forward to train and share this business with so many others." Hollywood Airbrush Tanning Academy is located in Los Angeles, California and offers an extensive Spray Tanning Certification program to anyone who wishes to learn spray tanning. 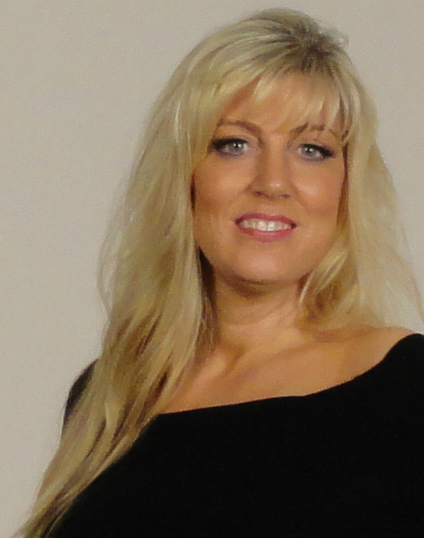 Simone Emmons, the creator of the spray tanning training program, has been a professional, licensed spray tanning technician and teacher and has helped numerous entrepreneurs from Louisiana, Kentucky, Idaho, Utah, Colorado, Nevada, Minnesota, Texas, Georgia, Arizona, Alabama, South Carolina, North Carolina, Illinois, Indiana, Washington, Oregon, Florida, Oklahoma, Alaska, Ohio, California, New York, New Jersey, Canada and the Island of Hawaii and Trinidad start a business in Airbrush Tanning. The spray tanning program is unique because it provides hands-on and private spray tanning training to individuals who want to start an Airbrush Tanning Business. According to Emmons, this spray tanning program gives individuals a leading edge in starting an Airbrush Tanning business immediately after finishing with the training. Students have the option to choose from a full day course of 10-12 hours or two half day courses of 5-6 hours a day or through live video conferencing. The academy is also launching a website soon so students can learn Airbrush Tanning Online. Many tanning training institutions only educate students on their own equipment and products they sell; however, Hollywood Airbrush Tanning Academy does not sell any of their own products and provides training and education on all equipment and good products in the airbrush tanning industry. Now, the academy added an additional trainer to hold airbrush tanning classes on the East Coast, specifically in New Jersey and Pennsylvania. Individuals interested in learning and starting an airbrush tanning business or starting a career in airbrush tanning should visit the website at HollywoodAirbrushTanningAcademy.com or for more detailed information about the airbrush tanning classes visit 1DayAirbrushTanningTraining.com.